Elite Motor Sports is proud to provide our Woodland clients with the best in automotive accessories, including wheels and tires from brands like Fuel, Hostile, American Force, Goodyear and Michelin, to name a few. With this in mind, taking care of your wheels and tires is something that we take very seriously, and in this blog post, we’ll take a look at a few ways that getting a wheel alignment can be of great benefit to your vehicle. While getting your alignment checked and adjusted on a semi-regular basis is something that most professionals suggest, it’s never fully explained as to why this is important. One of the most noticeable advantages that you can enjoy from getting a wheel alignment comes in your overall drive quality. If your car’s alignment is off, you may notice that it has a tendency to drift more towards one side or the other, even if your steering wheel is perfectly straight. This can not only be frustrating, but dangerous, in that having to do this constantly can distract you from paying attention to what is happening on the road. Getting an alignment can not only correct this, making for a more consistent drive, but a smoother and more comfortable drive as well. While a noticeably smoother drive is enough of a reason to get a wheel alignment, getting an alignment comes with an array of other benefits as well. Did you know that getting a wheel alignment can actually benefit your tires, increasing their overall lifespan? It’s true, and this is especially important for those of you who are driving on a limited budget. Replacing tires can be costly, and in more times than not, we find ourselves having to replace them when we perhaps wished we didn’t have to. Tires can wear much faster if you don’t get your wheels aligned regularly. Getting them aligned will allow for optimal performance, which in turn, makes for optimal lifespan. Finally, getting your wheels aligned regularly is not only great for the performance and longevity of your car and tires, it’s also great as a preventative measure. Driving with poor wheel alignment can cause uneven wear on your car’s parts. When your wheels aren’t properly aligned, things like bumps in the road cause the impact to be distributed unevenly throughout your vehicle, putting more stress on some areas than others. Because of this, parts can age or break down far earlier than they would had you been driving with proper alignment. By getting your car aligned, you’ll not only be enjoying performance and quality benefits, but protecting yourself from costly future repairs. 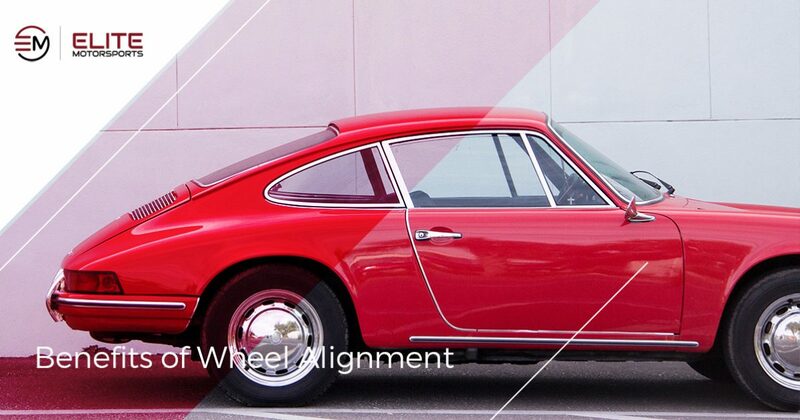 Those are just a few examples of how getting a wheel alignment can be beneficial for your vehicle. If you live in the greater Woodland area and are in need of a wheel alignment, lift kit, tires, or other automotive accessories, Elite Motor Sports is here to help. We are proud to provide car and truck owners in Northern California with the best in professional auto care and accessories, priding ourselves on quality products and services at prices that are fair and affordable. Protect your investment and provide your vehicle with products from the brands that you know and trust, and receive service that you know is of the best quality. Contact or visit Elite Motor Sports today to learn more about our products and services.